Steve Torrence digs ditches and lays oilfield pipe in East Texas for a living. Digging is what comes naturally for the driver of the Capco Contractors dragster and that’s what earned him the NHRA Top Fuel championship as Torrence won the first five races of the six-event Countdown to the Championship. He completed the sweep for playoff perfection Nov. 11 during the Auto Club Finals at California’s Auto Club Raceway at Pomona. 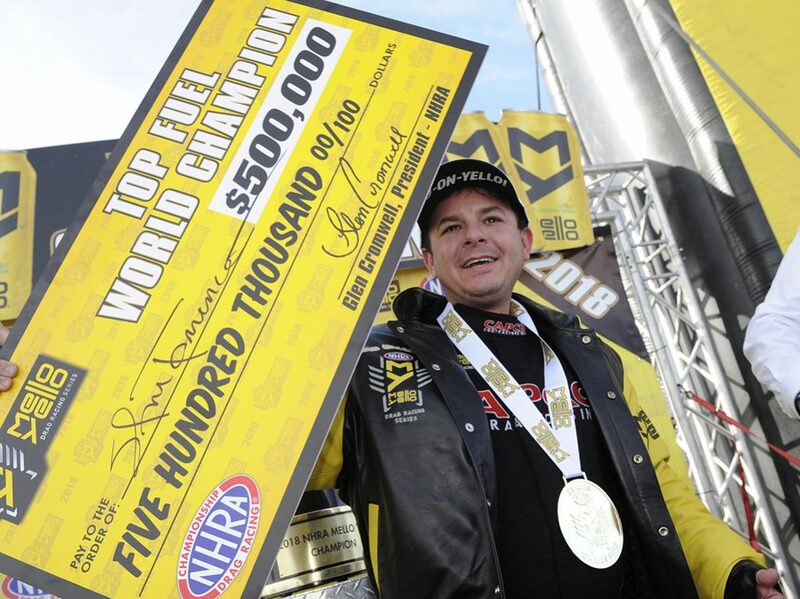 Torrence joined other first-time champions J.R. Todd (Funny Car) and Tanner Gray (Pro Stock) and three-time Pro Stock Motorcycle champion Matt Smith, as all four won their respective event trophies at the season finale. Determined not to allow his first title to slip away like it did on the final day of last season, Torrence steamrolled the competition with steely discipline and piled up 11 victories as methodically as he does sandy loam and red clay every day in his 9-to-5 job. 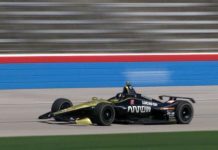 And to his delight — because he doesn’t like the Countdown format — Torrence secured the crown at The Strip at Las Vegas Motor Speedway two weeks before the finale. “It’s truly a blessing to accomplish what we’ve done. It’s nothing less than a miracle,” Torrence said. “It’s a lot of hard work. These Capco Boys put their hearts into it — and it’s difficult to beat people with heart. 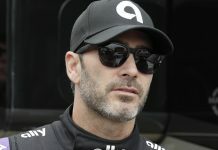 Not only did it punctuate his statement that an independent team can outshine the mega teams, the title etched his name in drag-racing history. Never before had anyone won all 24 elimination rounds during the Countdown to the Championship. His motivation was the bitter pill of watching Brittany Force ambush him for the crown last November. He had thoroughly dominated the class in 2017 but never regained his momentum after a vicious crash with two events remaining demolished his favorite race car. During the following months, Torrence consciously worked to turn his bitterness into inspiration. Maybe, but they came out swinging in a more controlled manner and it paid off with a $500,000 championship check.